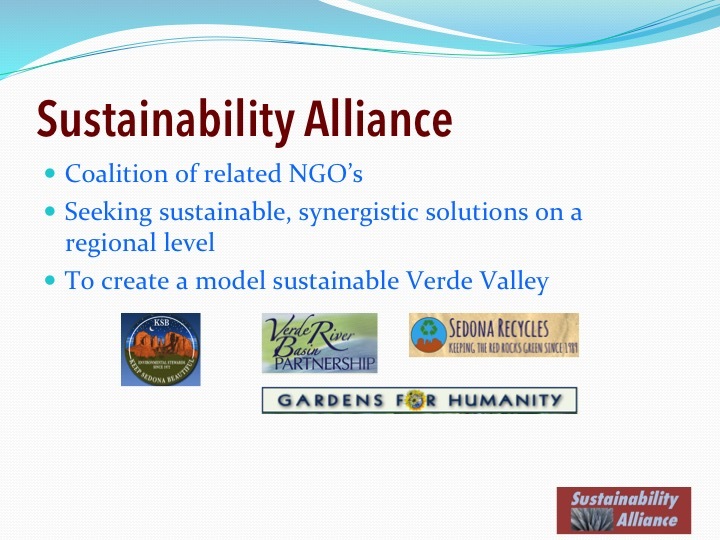 a coalition of non profits operating in the Verde Valley that share an intention of moving this region toward sustainability. 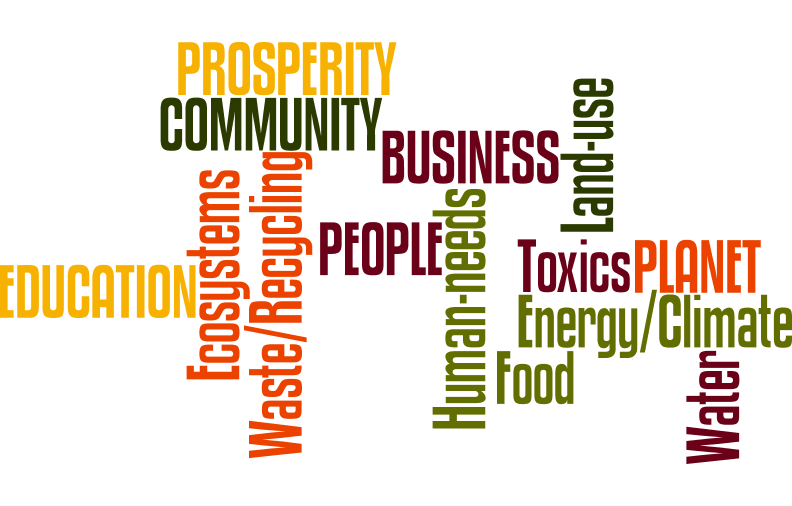 Each NGO focuses on different but interrelated parts of the ‘sustainability elephant’: People, Planet, Prosperity. Working together helps us all understand complex inter-dependencies and uncover opportunities to make a bigger difference. Read through the descriptions of our 9 core members and you'll get a sense of the web of systems the Sustainability Alliance represents. No NGO is an island. Cornucopia Community Advocates. Cornucopia Community Advocates fights hunger in the region and provides a platform for start-up NGOs. Friends of the Verde River. Friends of the Verde River works collaboratively for a healthy, flowing Verde River and tributary streams that support our unique environment, vibrant economy, and quality of life for future generations. Gardens for Humanity. Gardens for Humanity builds learning gardens and community gardens so children/families can connect to the Earth and eat healthy food. HEAL. 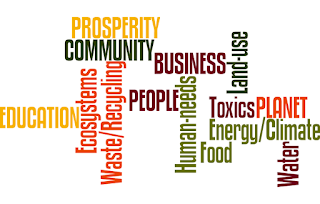 HEAL promotes non-toxic methods that protect human health and nature. Healthy World Sedona. 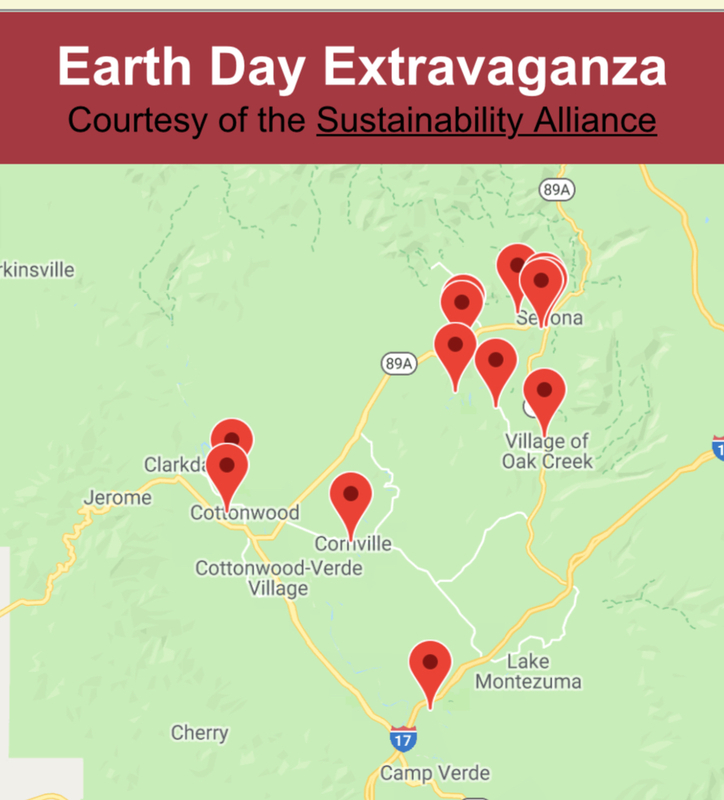 By advocating a plant-based diet and lifestyle, Healthy World Sedona improves the climate, conserves water and other natural resources, while improving human health and animal welfare. Inspiration of Sedona. 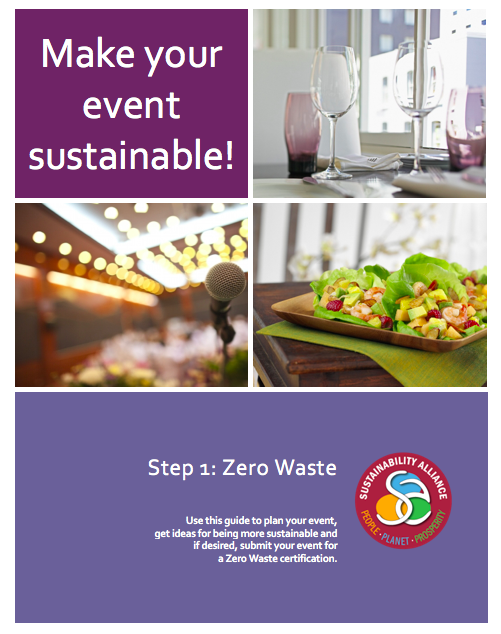 Inspiration of Sedona presents personally empowering, interactive events to inspire discovery of inner resources and conservation of the environment for self and ecological sustainability. Keep Sedona Beautiful. 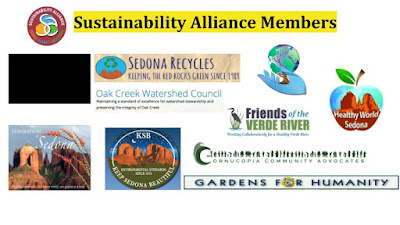 Keep Sedona Beautiful is committed to protecting and sustaining the unique scenic beauty and natural environment of the Greater Sedona Area. Oak Creek Watershed Council. Oak Creek Watershed Council preserve our two riparian areas through research, policies, public education/recreation and river clean ups. Sedona Recycles. By recovering materials, Sedona Recycles conserves energy and water and provides meaningful employment for adults with developmental disabilities. We also maintain relationships with other affiliated groups that for one reason or another aren’t appropriate as core members: municipalities, the Chamber of Commerce, universities, etc. Our approach is collaborative, non-confrontational, non-partisan, and solution-oriented. We use credible sustainability frameworks and systems thinking to guide our work. We educate, inspire and invent. Special thank you to Artline Graphics for designing our logo.